I think most people would probably agree that four days isn’t much for a country like Cambodia. And the truth is, it isn’t. But we managed to achieve quite a lot in such a little time. 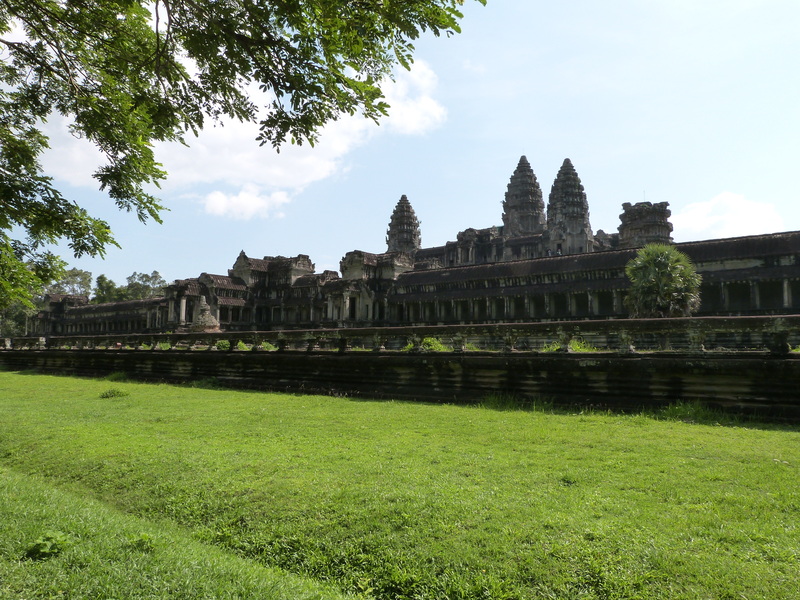 That said, both of us are itching to return and to venture beyond Angkor Wat and Siem Reap. 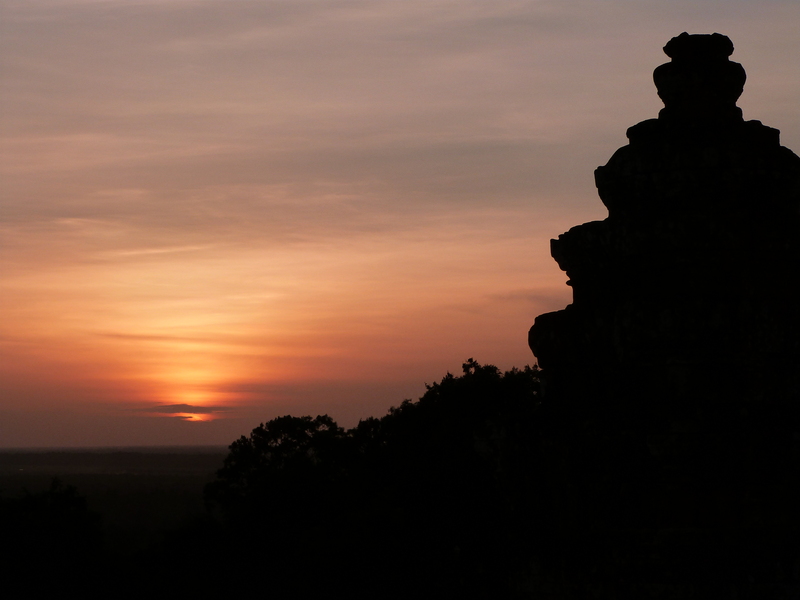 We arrived in Siem Reap in the evening and hopped straight into a taxi to head to the hotel. Driving along, we were both immediately overcome by a sense of relaxation. Cambodia was absolutely nothing like Vietnam. Hanoi had been so busy, with so many people. 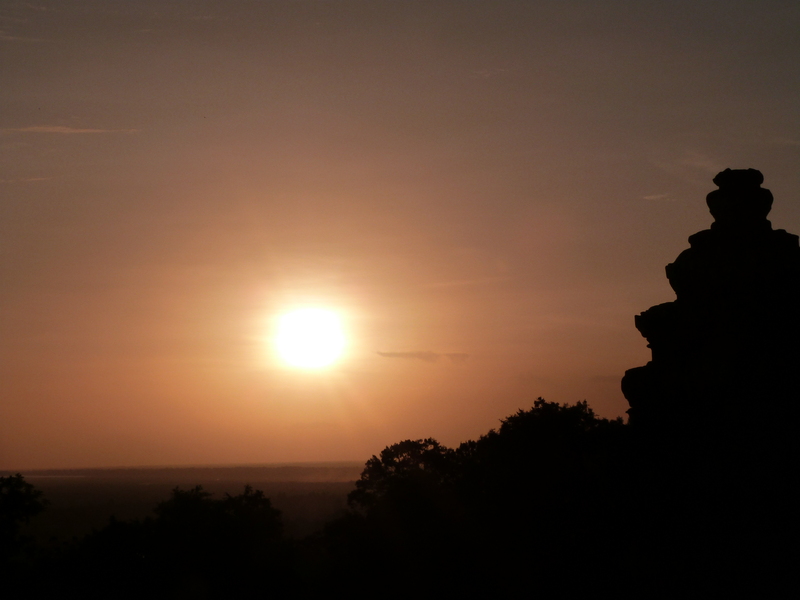 Siem Reap was quiet and peaceful (at least in the evening!). In addition, there are so many insects and animals. 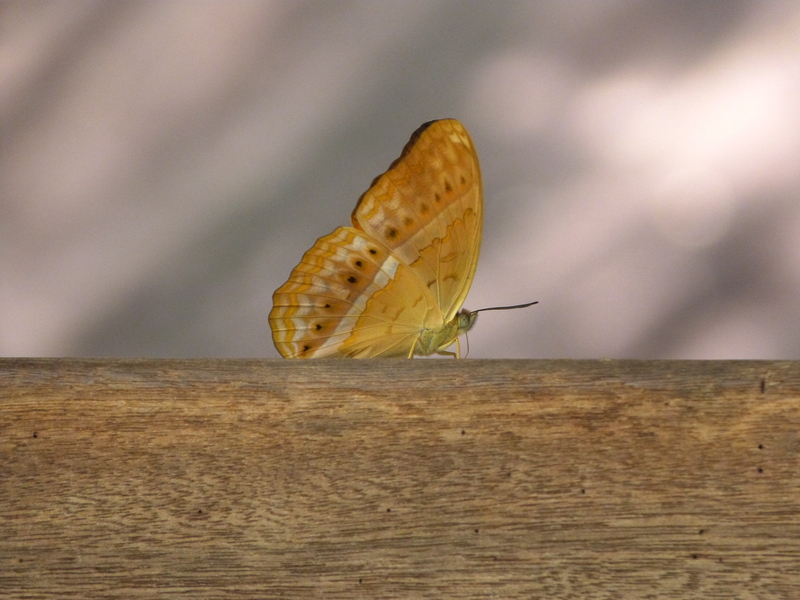 Throughout our four day stay in Cambodia, we saw numerous geckos, frogs, cockroaches, lizards, and an array of flying insects. Arriving at our hotel, we had a quick meal before heading off to bed. 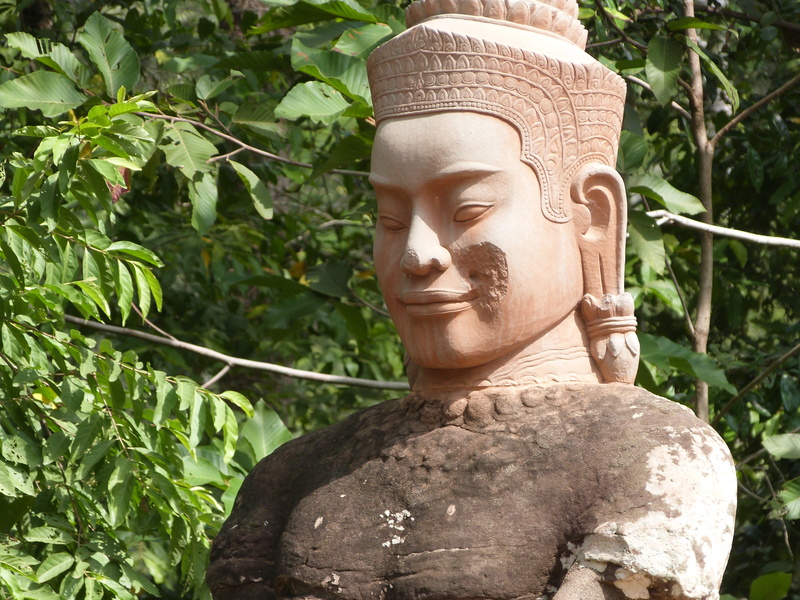 At 9am, we headed off to Angkor Thom. We received a blessing from monk and were given little string bracelets. Mine fell off within a few weeks whereas Mal is still wearing his, nearly a year later! 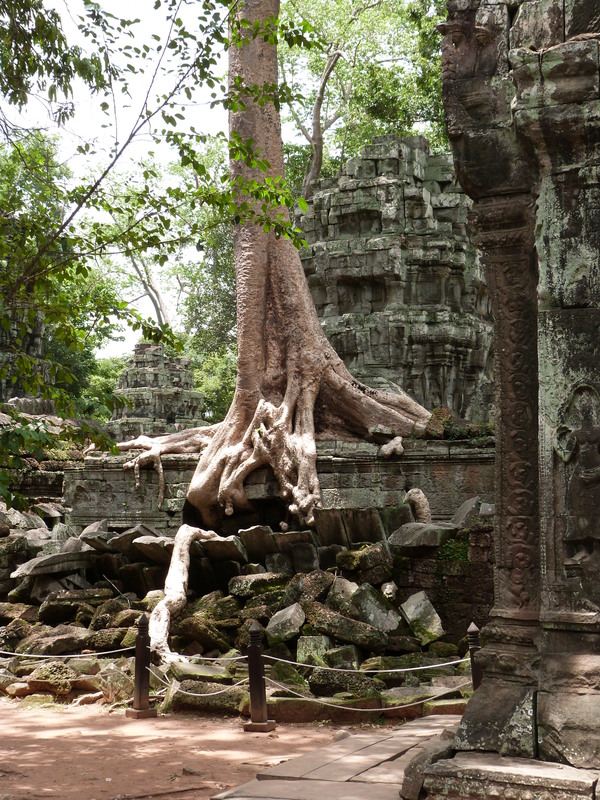 We wandered around for about two hours, before heading off to a second temple, Ta Prohm. 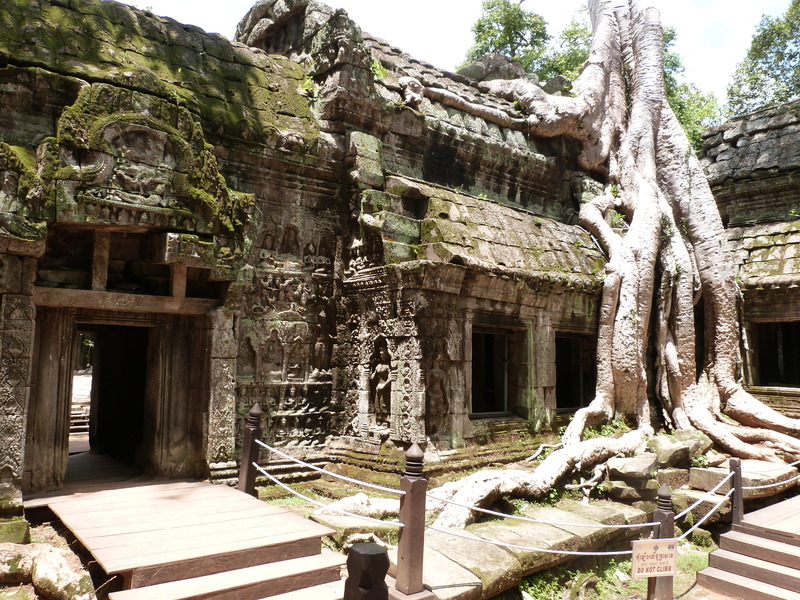 I was getting a bit sweaty and warm at the point so I was glad to discover that Ta Prohm was so much smaller than Angkor Thom! We then headed to a little restaurant for a noodle and beef lunch, before heading on to the most famous temple, Angkor Wat. By the afternoon, we were both exhausted. We had spent most of the day in the sun and were beginning to feel a bit dehydrated. So, at about 4pm, we headed back to the hotel for a quick swim in the pool and a shower. We then headed out to ‘Pub Street’. ‘Pub Street’ was a lot more Westernised that we had expected – there were neon signs everywhere and it felt a little bit like the strip in a European beach resort. However, we enjoyed it nonetheless. It was relaxing to chat to other tourists over a few beers and play some pool (which, for the record, I am rubbish at). Feeling like we hadn’t stopped since we’d left London 10 days earlier, we decided to spend the morning relaxing. With a 2 hour massage each. Which was amazing. Then we sat on sun lounges by the pool and read our books. It was heavenly and exactly what we needed. 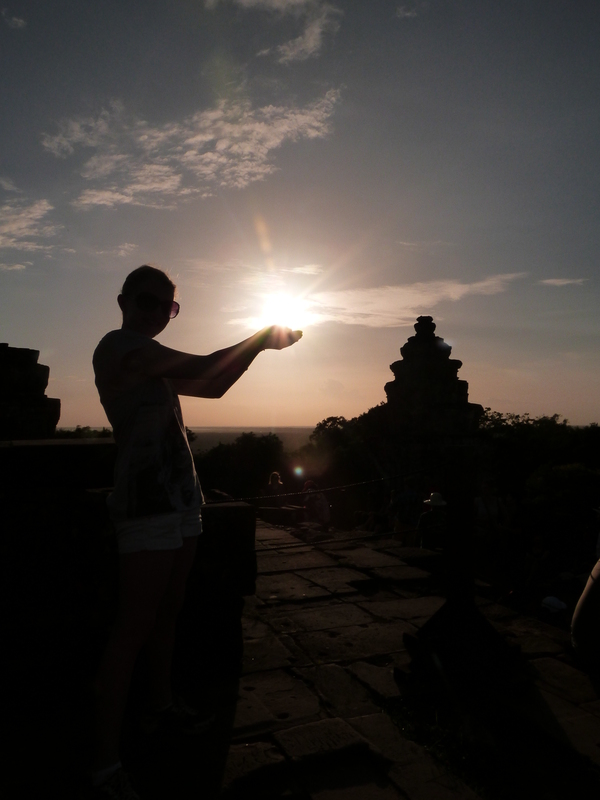 That afternoon we were collected from our hotel to head back to the temples for the sunset. We arrived fairly early so spent an hour just sitting there with hundreds of other tourists, all waiting for the sun to go down. Our first stop for the day was a waterfall. The walk to it was fairly arduous but thankfully we were shaded from the sun by tree cover. We arrived at what we thought was the waterfall and, I’m not going to lie, I was fairly disappointed. The water fell less than 10 cm. Really? That was what we’d walked all this way for? Thankfully, that wasn’t the waterfall. On our walk back down, we were accosted by numerous butterflies, who were beautiful and happy to land on us, even as we walked. We then visited one final temple before heading out for a fantastic steak dinner. 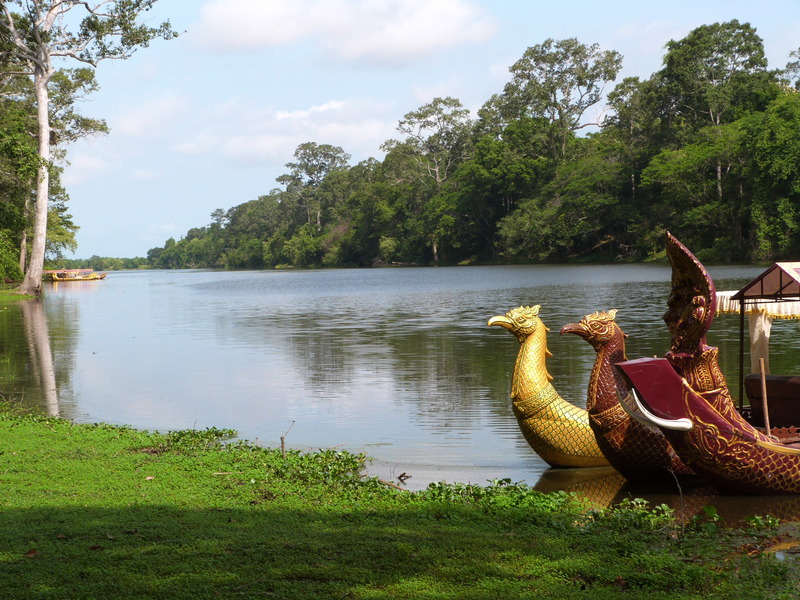 This entry was posted in Asia, Photo Diary, Travel and tagged Angkor Thom, Angkor Wat, Butterflies, Cambodia, Planning, Siem Reap, Ta Prohm, Travel.